*Warning: Major spoilers will follow, do not read until you have seen season two of Star Trek: Discovery. 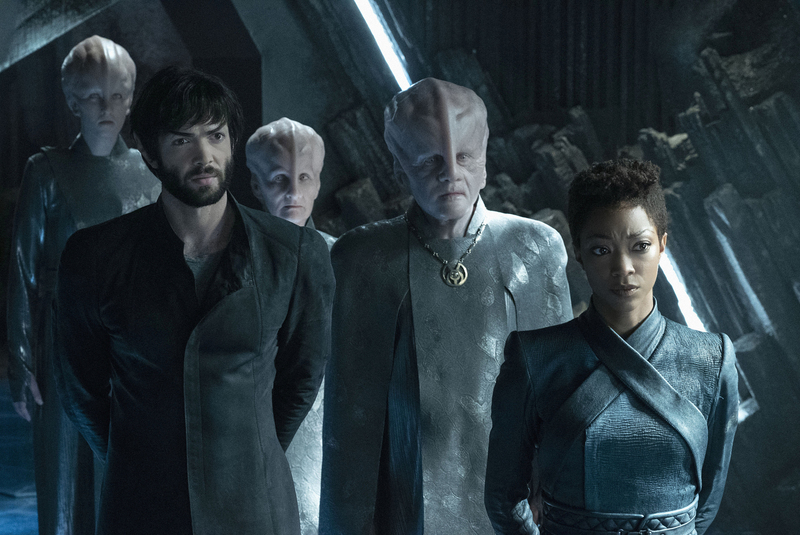 The sophomore season of Star Trek: Discovery just concluded with its epic two-part episode “Such Sweet Sorrow” and what a way to cap off a successful season! 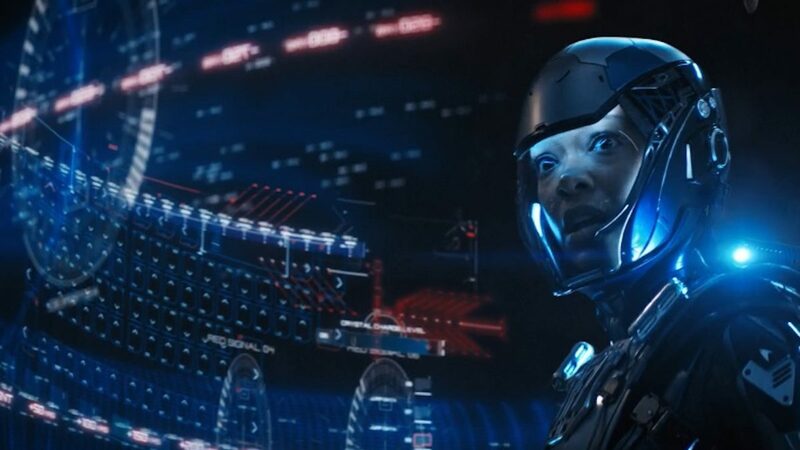 The episode concluded the season-long “Red Angel” arc where it was revealed that Michael Burnham (Sonequa Martin-Green) was the mysterious Red Angel that appeared throughout the galaxy during pivotal moments in recent history. In “Such Sweet Sorrow”, Burnham used the Red Angel suit to time travel into the past to mark her appearances in the second season and to lead the starship Discovery and the show into its bold new direction for season three. 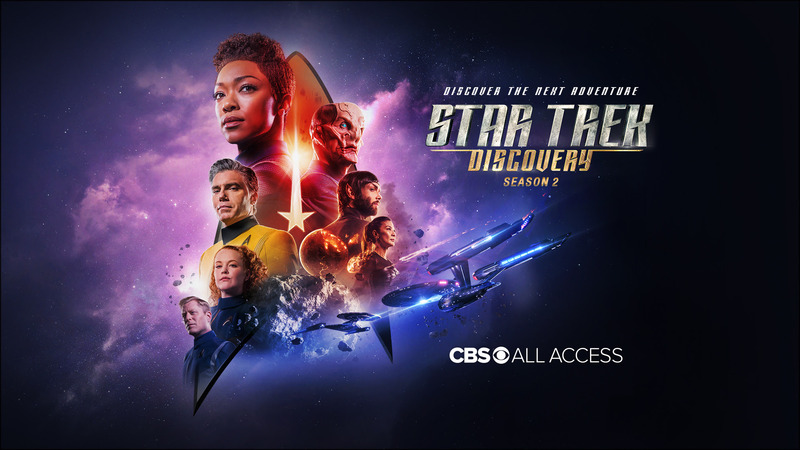 The second season of Star Trek: Discovery was a marked improvement over the first one with compelling stories, strong characters and a respectful acknowledgment of the original canon established in previous Trek shows. Due to the many stylistic changes done to the show, even though it’s a prequel to the original Star Trek, the setting looked too advanced and didn’t gel with the original. This was unavoidable given the original show is over fifty years old, and Hollywood magic advanced considerably since then. This led many outraged fans to dismiss Star Trek: Discovery as not a real Trek show, even though the showrunners insisted it was set in the prime timeline. 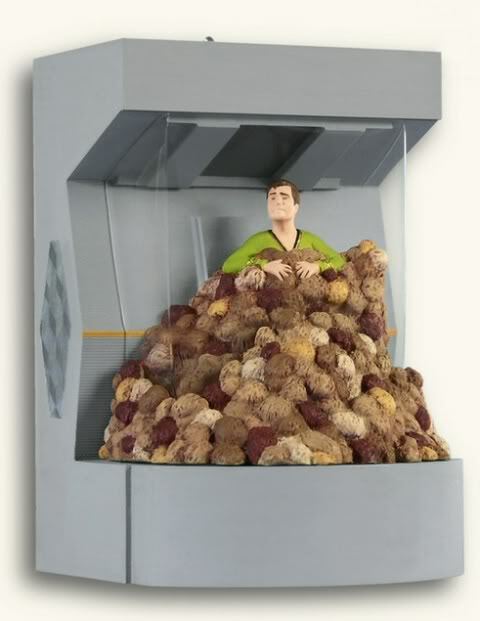 The episode “If Memory Serves” reiterated this point by having an episode recap from the very first Star Trek pilot, “The Cage”, which proved once and for this show is set in the original Star Trek universe. People had to either accept the visual changes and move on or reject the show altogether. Those that accepted the show were rewarded with a well-crafted season. At the start of the season with premier episode “Brother”, Captain Christopher Pike (Anson Mount), the original Enterprise captain beamed aboard the Discovery and took command. His mission was to investigate unknown red signals that appeared throughout the galaxy. It turned out the signals coincided with appearances of the enigmatic Red Angel. This figure would show up at a pivotal moment that aided the crew of the Discovery. Pike and Burnham realize that the Angel is tied in to the disappearance of his science officer Spock (Ethan Peck), who apparently went insane and murdered people. For the first half of the season, they track him, and this quest culminated with the now-classic “If Memory Serves” which took Pike and Spock back to the planet Talos IV. It turned out that Spock was framed by the secretive Section 31 organization and that Section 31 was taken over by Starfleet’s AI, Control. The AI wanted to get access to ancient alien knowledge recently stored in the Discovery to gain sentience and Burnham received warnings that Control would eventually destroy all life in the future. This plot propelled the second half of the season and led to the truly monumental “Such Sweet Sorrow” where Control took the Section 31 fleet against the Discovery and the Enterprise. The only way to keep this knowledge away from Control was to send Discovery into the future. This led to a busy, crowded and spectacular starship battle that was simply brutal and dizzying at times. The battle sequences looked like they could have been lifted out of a modern Star Trek film that involved drones, refitted shuttles as fighters, zero-g fist fights, Klingons (who are now thankfully more in line with the traditional Klingons), and even repair droids (!). As we’re getting ready for the return of Star Trek to TV (or rather Trek’s first foray into original streaming service) with Star Trek: Discovery, it’s a prime time to look back at Star Trek: The Next Generation, which was Star Trek’s first foray in a then-unique syndication format. 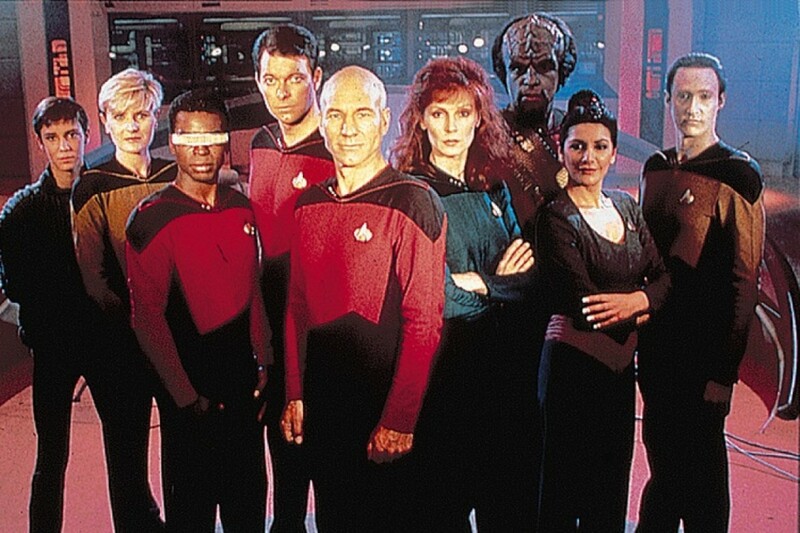 Devoted fans already know that it’s the 30th anniversary of Star Trek: The Next Generation. The series is almost as beloved as the original Star Trek, but many overlook the fact that when it debuted thirty years ago in syndicated televisionit was dismissed automatically. Fans of the original show were understandably skeptical about Star Trek: The Next Generation ever since it was announced. 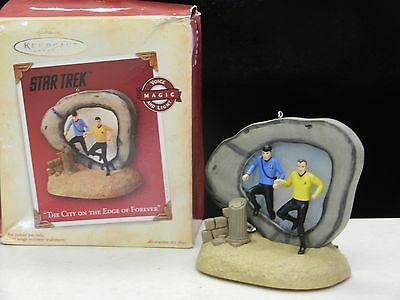 After all, it did not feature Kirk, Spock, McCoy and the other beloved characters and the first promo images looked strange. A bald captain? Klingons are no longer the enemies of the Federation? 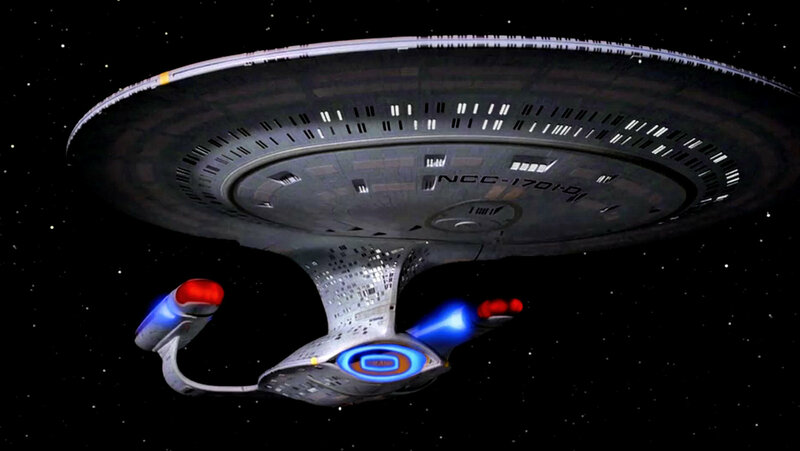 Why did the new Enterprise look ungainly? What was the deal with those weird one-piece uniforms and lounge chairs on the Enterprise bridge? 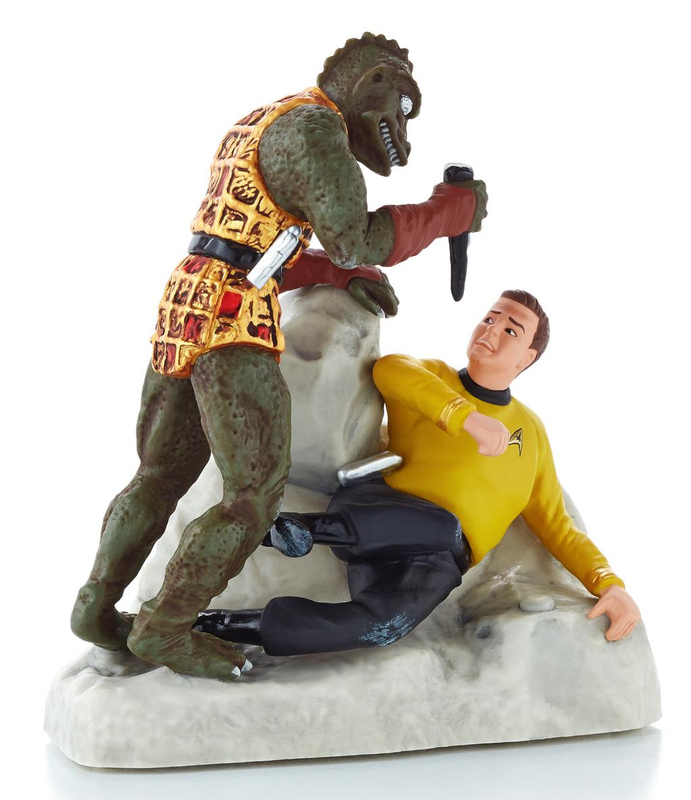 People wondered what the creator Gene Roddenberry must have been thinking when he developed the new Trek incarnation. Even Leonard Nimoy wondered if the show would succeed. Citing that it was impossible to catch lightning twice in a bottle, Nimoy turned down the offer to develop the show before Roddenberry was approached. When it finally premiered in September 1987, let’s say that many fans were underwhelmed by what they saw. 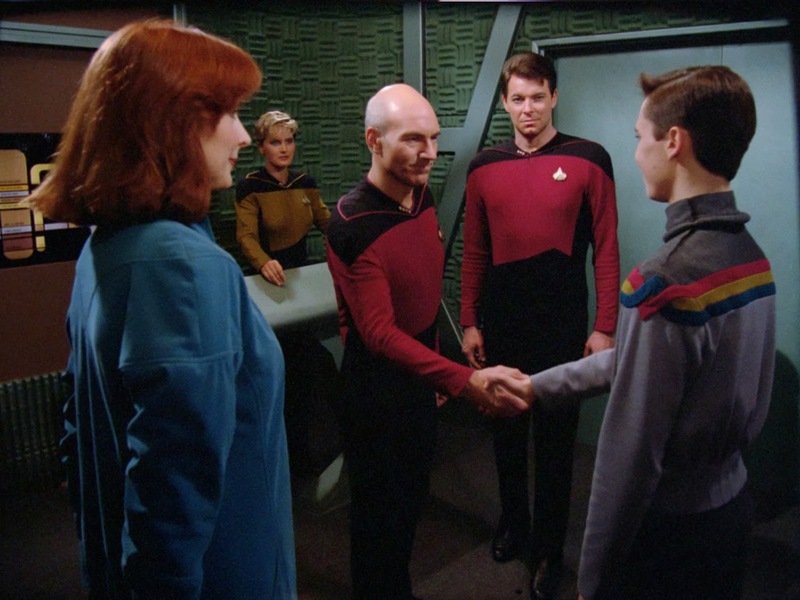 The first episode “Encounter at Farpoint” was interesting and gave the main characters good introductions. Plus, it introduced the omni-powerful entity Q into Star Trek lore and thanks to John DeLancie’s sardonic line delivery, the character stood out. 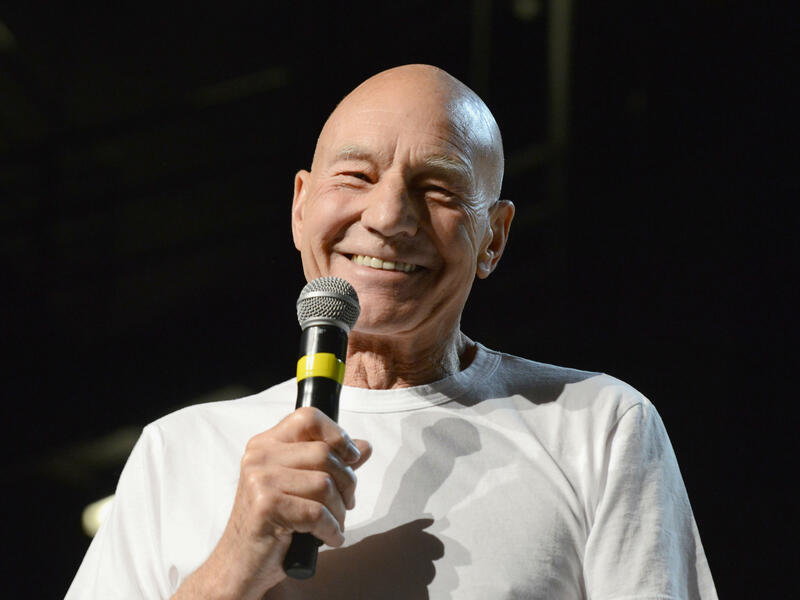 But more importantly, the main star of the show Patrick Stewart, who played Captain Jean-Luc Picard, made a powerful impression. Sure, he was not the swashbuckling Captain Kirk, but Stewart made his character uniquely different from Kirk while exuding a commanding and thoughtful presence in the show. 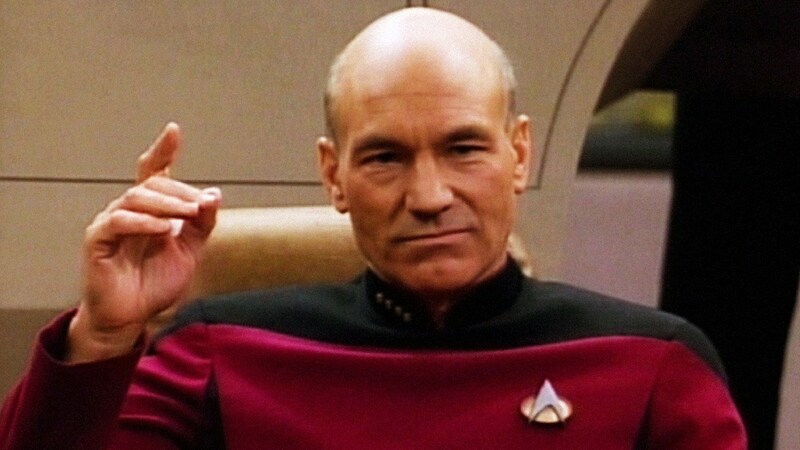 Still, Star Trek: The Next Generation was nearly derailed in its wobbly first season. What handicapped the first Star Trek spinoff were poorly written scripts and characters. 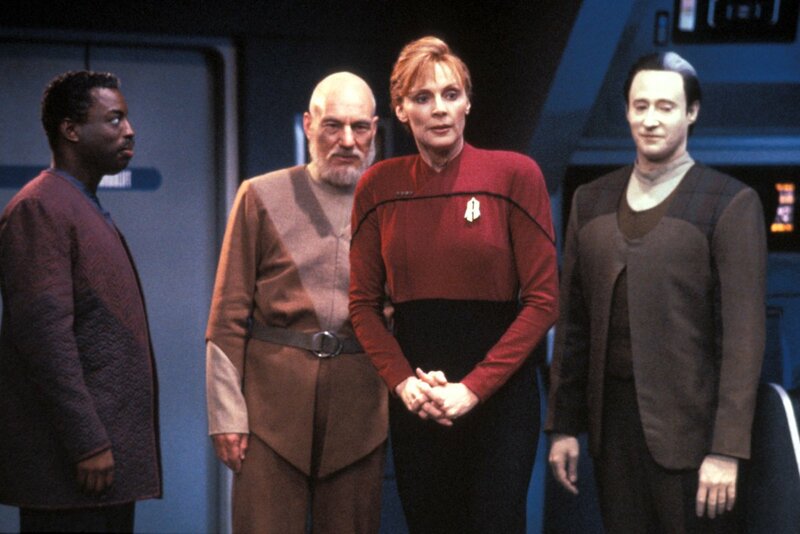 One of them was especially hated by fans, young Wesley Crusher played by Wil Wheaton. In many episodes he came off as petulant, self-important Gary Sue who was a critical key in many plot lines. Some episodes were incredibly dull and did not go anywhere. The early episodes aped the worst qualities of the original show where the Enterprise crew would visit a planet of the week and solve that planet’s problems. The made-up societies they encountered were just unbelievable and its people reeked of caricatures. The show also had a problem with coming up with interesting villains, aside from Q. Yet, the show showed promise. As the first season drew to a close, Star Trek: The Next Generation seemed to find its bearings. 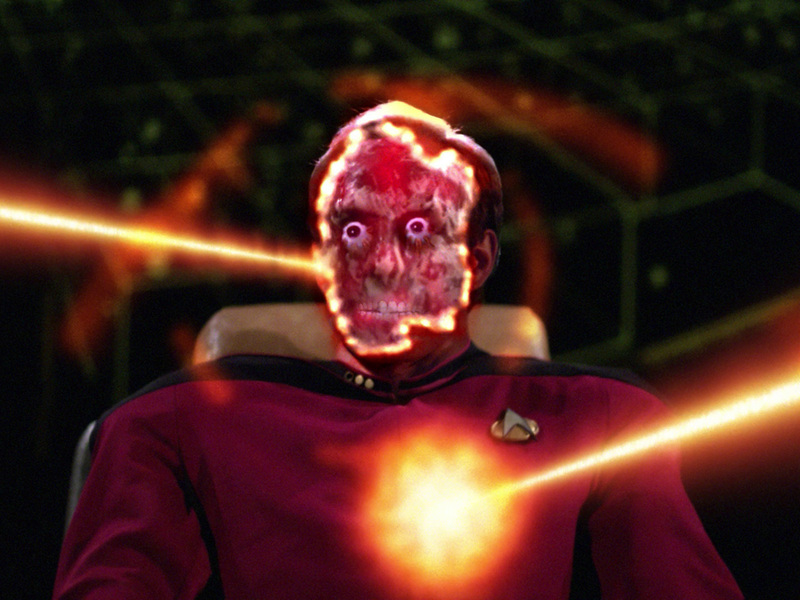 The characters were better developed with the breakout being Data (Brent Spiner), who emulated the Spock position of being the outsider who questioned humanity. The stories also became more interesting as Star Trek first toyed with the idea of episodes-spanning sub-plots. In this case, a nefarious conspiracy at the heart of Starfleet and the first hints of the Borg, a cybernetic race that would not appear until the second season. It took some risks such as the above-mentioned conspiracy storyline that upset some parents for its violent content. There was also the killing off of a major character in the show (Tasha Yar, played by Denise Crosby), which was a first for Star Trek. 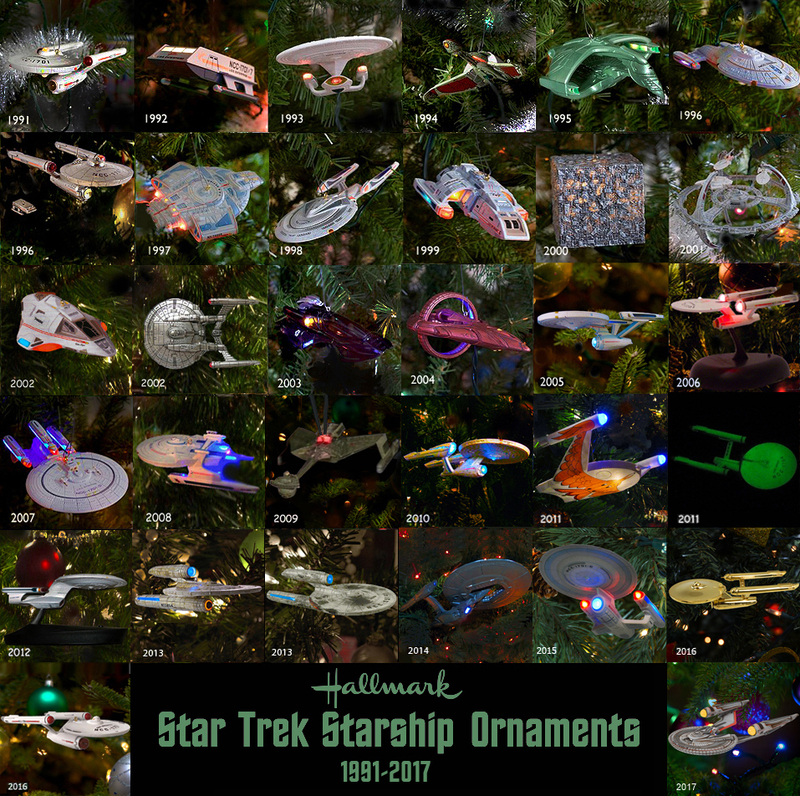 Fans began to come around and eventually embraced the Star Trek spinoff. 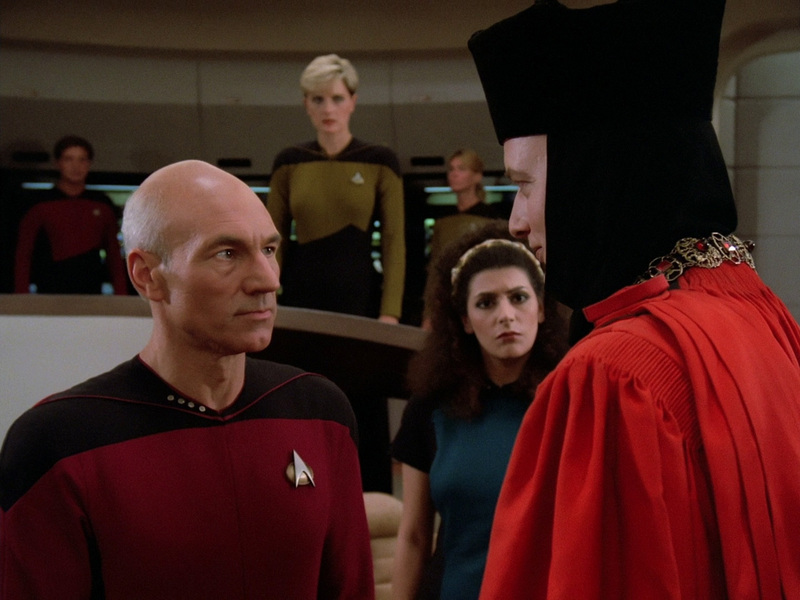 Although the original show continues to be regarded as the best Star Trek show, it cannot be denied that Star Trek: The Next Generation has achieved its share of greatness through the season. It stood apart from its predecessor for being more thoughtful, for better exploring themes and characters and for its updated special effects. When Star Trek: The Next Generation was being developed it was supposed to have featured descendants of the original Enterprise crew. Thankfully, the show evolved away from that and went with all-new characters. References to the original show were extremely rare, which allowed the show to develop its own identity. It would have been all too easy to just continue the same formula, but Roddenberry knew that for the new show to succeed it had to follow a different path. That is why we’re celebrating the show thirty years later. Now as if to commemorate the 30th anniversary of Star Trek: The Next Generation, a new Star Trek TV show will debut this month to pick up the baton. However, many fans are highly skeptical and dismissive of the new Star Trek: Discovery. The list of complaints continues growing as more details come to light, and many of them are valid. The core complaint is that the new show does not feel like Star Trek. But think about that, it’s the same gripe leveled at Star Trek: The Next Generation when it first aired. The new show seems like it will take Star Trek in a new direction, just like the first Trek spinoff did. Star Trek: Discovery may not hit a homerun at first, but fans should keep an open mind and show some patience when it premieres. 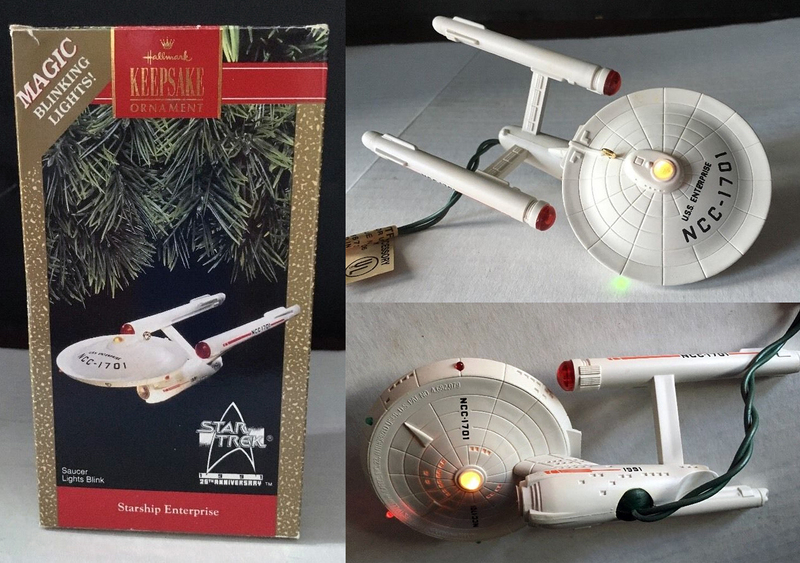 It may find its legs and be as memorable and great as Star Trek: The Next Generation, the first Star Trek spinoff that proved it was possible to catch lightning in a bottle twice. 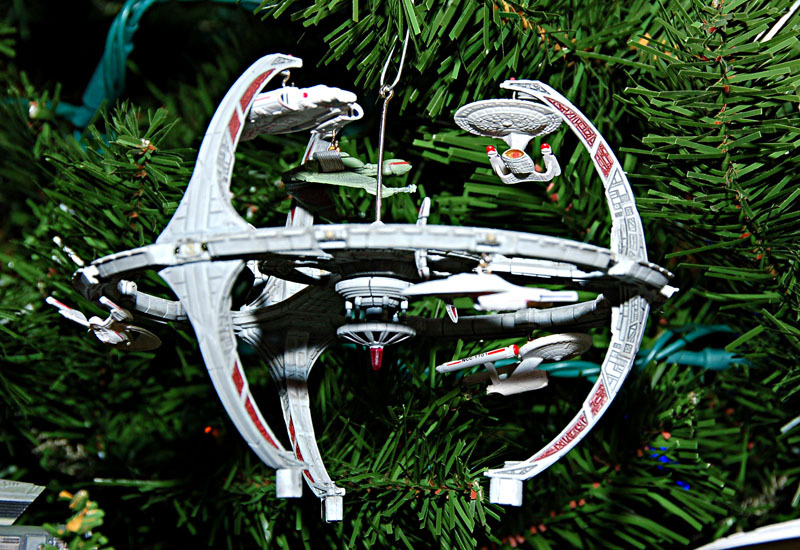 Star Trek Vs Star Wars: Can’t We All Enjoy Both? Star Trek vs. Star Wars. It’s the ultimate geek debate, our version of Coke vs. Pepsi or the Beatles vs. the Rolling Stones. 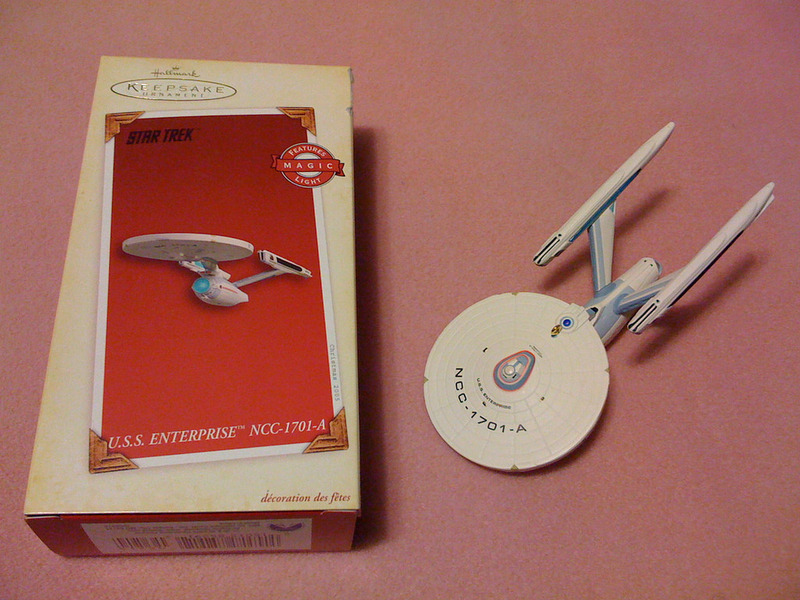 Which ship is cooler, the Enterprise or the Millennium Falcon? Is the Galactic Empire more powerful than the United Federation of Planets? Who’s got the coolest aliens? Most die-hard fans insist that while you can enjoy both, you have to pick one over the other. That may be an extreme position because frankly, both Star Trek and Star Wars can be enjoyed for different reasons. In a way, it is unfair to pit both beloved properties against each other due to their differences. This Star Trek vs. Star Wars debate becomes more of an apples and oranges argument instead of the previous analogies. That is due to the fact that comparing Coke against Pepsi is just arguing over two soft drinks that are very similar to each other. 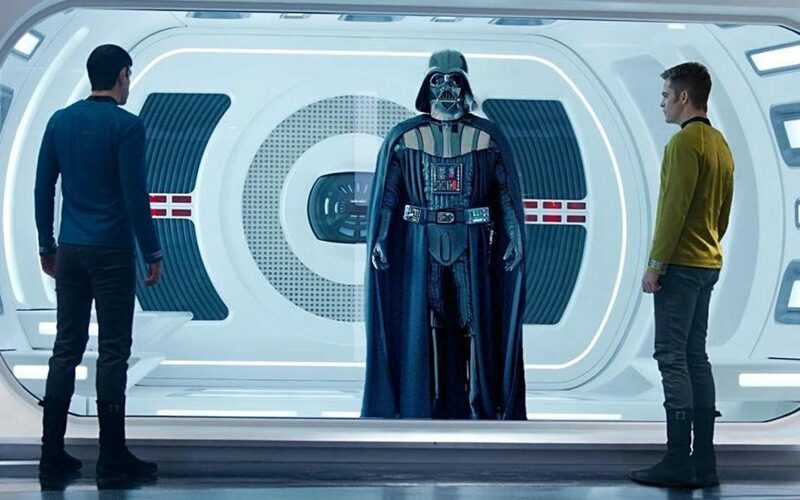 Now Star Trek and Star Wars don’t share many similarities. One of the few is that they are both sci-fi adventures, but Star Wars focuses more on a space fantasy set in another galaxy while Star Trek is considered more grounded and realistic. That is the core difference between the two and it is enough to set both properties light years apart from each other. As we all know Star Wars is basically a mythological tale in a sci-fi fantasy setting. It’s got all these fantastic visuals and fight scenes with spaceships and weird aliens, but Star Wars in its heart is a morality tale about family and the hero’s journey. That is why the Star Wars films resonate so much with audiences. On the other side of the equation, Star Trek is an optimistic look at humanity’s future where we are devoted to exploring the unknown for knowledge’s sake. Sure, the crew of the Enterprise will come across those pesky Klingons but Captain Kirk and the other captains aren’t military leaders but explorers. On the outside, their goals are to see what’s beyond the next star and the next one after, but the best Star Trek stories explore the human condition and are thinly veiled commentaries about what is going on today. And that is why Star Trek has a devoted fan base as well. Some trolling fans will claim that Star Wars is more popular since it’s more in the public consciousness to the point that it is cool to be a Star Wars fan. 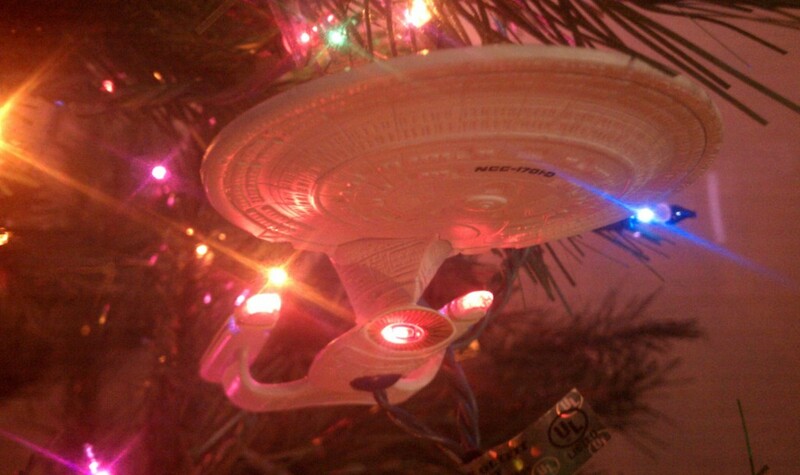 But Star Trek is undeservedly looked down upon as being strictly for geeks. A closer look at Star Trek fandom shows that it’s appeal is widespread as well and has had a profound impact in our culture. The constant reminders of Star Wars as seen with all the merchandising and the new cranking out of films is not necessarily due to demand but Disney marketing. Can’t blame them though, the corporation spent billions to acquire the property and they want to get their money’s worth. 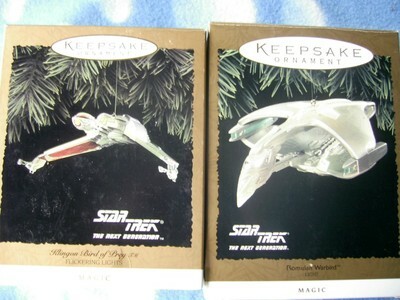 It’s fruitless trying to compare the two in a competition, Star Trek and Star Wars are appealing for different reasons. A well-rounded person will see the merits of both properties and enjoy them for different reasons instead of cooking up Star Trek vs. Star Wars scenarios. Still comparing the two live-action sci-fi giants is a fun exercise that shouldn’t be taken too seriously. Just be grateful that we all have the opportunity to enjoy two well-produced properties. So, sit back and be transported where no one has gone before in a galaxy far, far away.